Easy to Learn Korean 1212 – Life has its ups and downs. Easy to Learn Korean 1080 – Wonderful autumn day (part one). 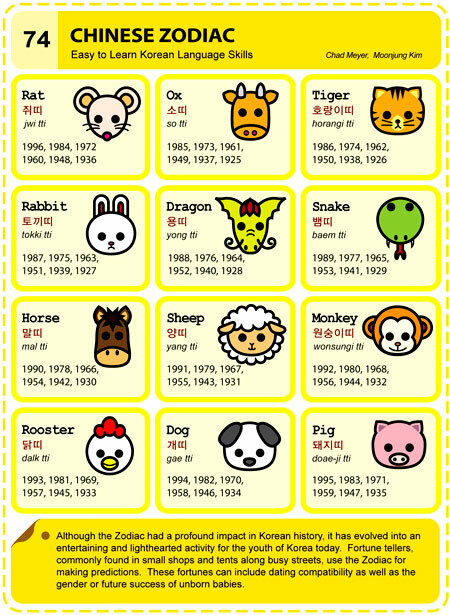 Easy to Learn Korean 074 – Which Chinese Zodiac animal are you? 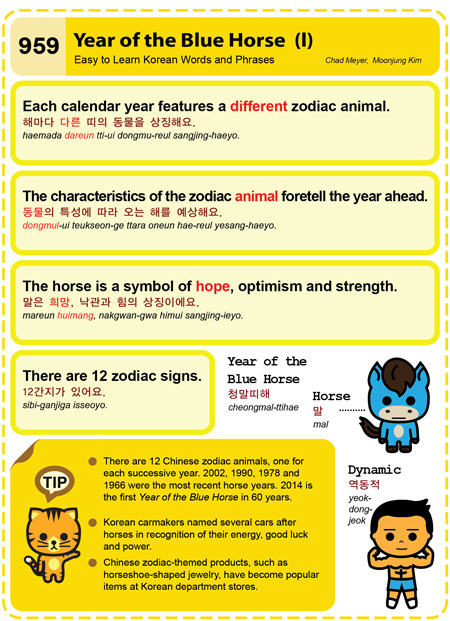 Easy to Learn Korean 959 – Year of the Blue Horse: 2014 (part one). Posted in Series	| Tagged 12간지가 있어요., 2014, Animal, calendar, car makers, characterisitic, Chinese zodiac, department store, dynamic, fortell, hope, horse, horseshoe-shaped products, optimism, strength, Year of the Blue Horse, 낙관과 힘의 상징이에요., 동물의 특성에 따라 오는 해를 예상해요., 말, 말은 희망, 역동적, 청말띠해, 해마다 다른 띠의 동물을 상징해요.